Hope you have a happy & safe halloween! We love all things Fall in our household. This translates into our littlest artist's drawings. 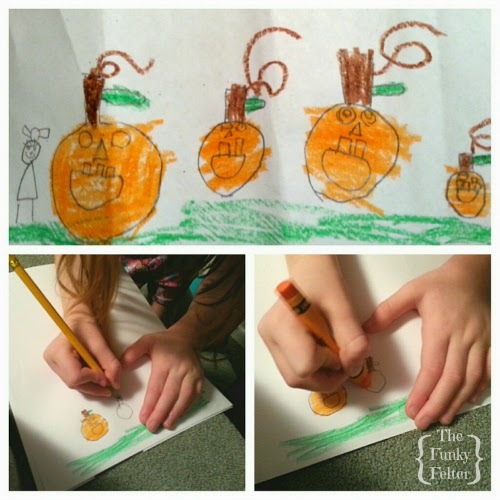 I was quite impressed when she drew upside down during my "lesson" to show me how to make the most excellent jack-o-lanterns. I hope you and your little ones have a very safe and happy Halloween!